 The concat­enate operator eg. "­A" & "­B" becomes "­AB". Option Explicit is used to require declar­ations of all variables. Option Base 1 makes the index of all arrays starts from 1. If declared array has no numeral index provided, then it is dynamic in size. Val function accepts a string as input and returns the numbers found in that string. Is it a number (boolean)? [Si­n­/­Cos­/­T­an­](x) for trigon­ometric functions, [AS­in­/­AC­os­/­AT­an­](x) for inverse trig functions. Use Ran­ge to select specific cells or group of cells. Use Act­ive­Cell to select highli­ghted cell in excel. Highest element number is the size of possible entries a array can hold.